Cigarettes – It’s time to JUST STOP! Are you still smoking cigarettes? Are you having a hard time quitting? Quitting smoking is one of the hardest things that I have ever done in my life. 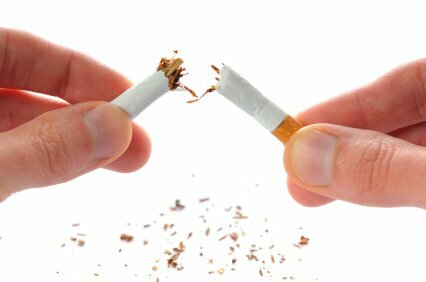 I know how hard it is to quit, but I also know how great you feel once you are rid of those nasty cigarettes forever! Cigarettes are one of few products which can be sold legally which can harm and even kill you over time if used as intended. Tobacco kills up to half of its regular users and has caused 100 million deaths in the 20th Century. Several active ingredients and special methods of production are involved in making sure the nicotine in a cigarette is many times more potent than that of a tobacco plant. Also, ‘Lite’ cigarettes are produced by infusing tobacco with CO2 and super-heating it until the tobacco ‘puffs up’ like expanding foam. The expanded tobacco then fills the same paper tube as ‘regular’ tobacco. Smokers draw on ‘lite’ and menthol cigarettes harder (on average) than regular cigarettes; causing the same overall levels of tar and nicotine to be consumed. 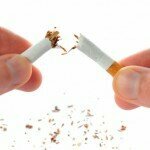 It is time to stop smoking! BioVeda Health and Wellness Center has a great new smoking cessation program and supplement product called “Just Stop” that can help you stop smoking! Using a proprietary system, BioVeda can help eliminate cravings and alleviate withdrawal discomfort such as headache, drowsy feeling, severe coughing, nausea, vomiting, uncontrolled anger or mood swings. To learn more about this amazing program, contact a BioVeda Health and Wellness Physician near you!